But that’s offense. The scoring and such. What concerns you as a UCLA fan clearly isn’t attendance at Pauley, it’s the Bruins’ defense. It now ranks 156th nationally and 9th in the conference. Since its been the Alford show at UCLA, we’ve never confused his team’s for Tony Bennett’s. Defense hasn’t been their strong suit. I’ve previously, however, called the Bruins an opportunistic defense. They’d take the ball from you – a steal – and turn it into an easy bucket. It’s a great equation when you can put a unique talent like a Kyle Anderson or a Kevon Looney with a 7’3″ wingspan at the top of a zone, flanked by bulldogs Jordan Adams and Norman Powell. The aforementioned four players forced turnovers. In 2014 it was at elite levels, the 5th highest steal rate in the country. In 2015 it wasn’t nearly as high but still 3rd best in the conference. In both seasons, the Bruins would finish with an identical 97.3 defensive efficiency (which interestingly ranks 45th then 67th, respectively). They currently aren’t even close to that 97.3 (which this season would rank 60th). Today UCLA’s defensive efficiency sits at 101.8 points per 100 possessions, 156th out of 351 teams. They’re forcing turnovers at the 317th lowest rate in the nation. There is no bulldog flanking any 7’3″ spider right now. Neither Isaac Hamilton nor Bryce Alford are Norman Powell or Jordan Adams. I mean, the Bruins allowed Arizona 1.20 points per possession. And won. Washington State hasn’t scored 1.20 points per possession all season. What’s further not helping the Bruins is that they’re the second worst transition defense in the league. In a season of nearly unprecedented Pac-12 pace, the Bruins aren’t necessarily doing a good job of limiting run outs. Which is actually a pretty frustrating number when you consider that, in non-transition situations, UCLA is holding opponents to the 264th lowest effective FG%. It doesn’t help to be the 188th rated defensive rebounding team, in that case. 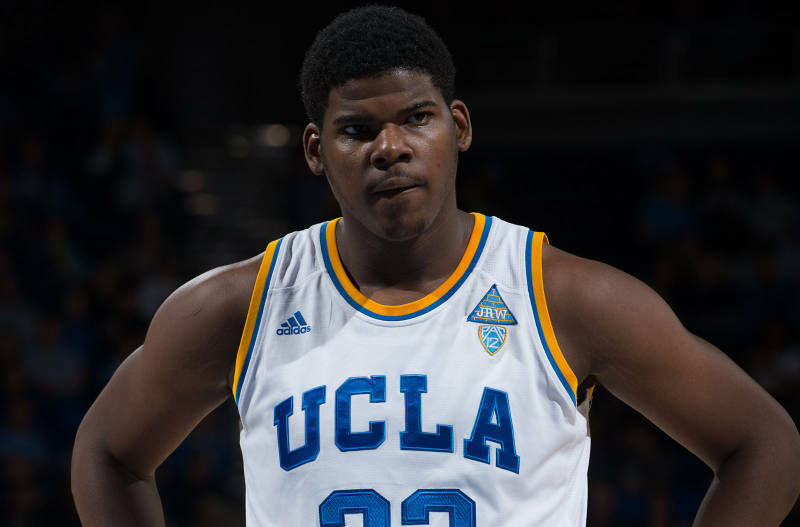 These Bruins are, in fact, the second worst defensive rebounding team Steve Alford has ever coached. They aren’t the Bruins of the past, and shouldn’t be held to those standards. Each team earns its own identity. But the Bruins can’t be satisfied with this defensive effort.